There are endless stroller buying guides and reviews online that compare and contrast specs such as handling, weight and folding mechanisms. 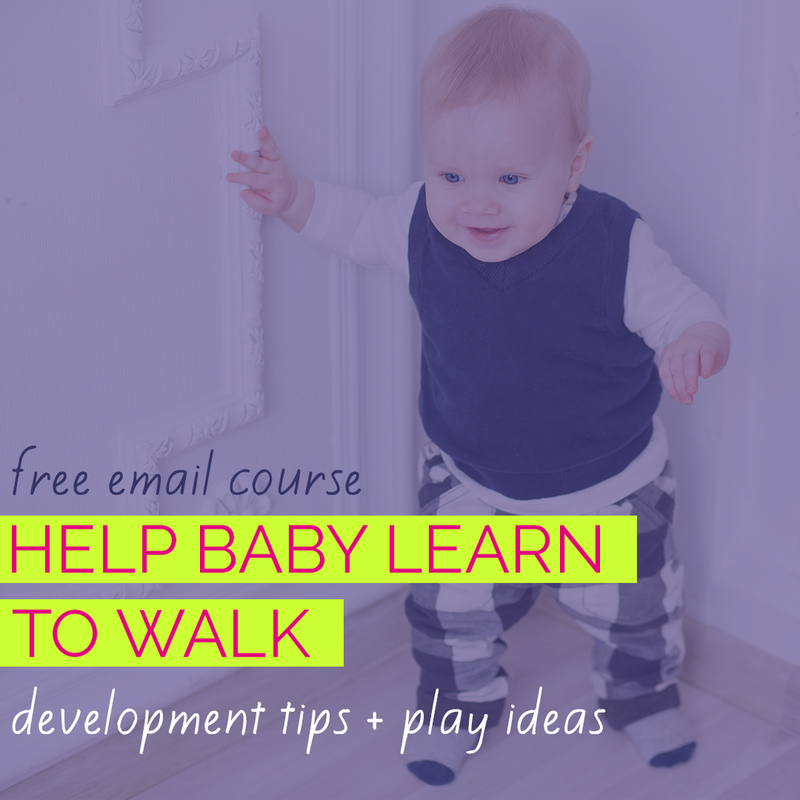 Instead of looking at those features, I'd like to share tips for choosing and using different types of strollers based on infant development. I'll share some specific models that I've used or looked at primarily through the lens of healthy infant positioning. This page includes affiliate links. I only link to products I use or love. See my disclosure page for more information. For $100 or less, you can purchase a frame stroller with the sole function of attaching your infant car seat carrier when you remove it from the car. There is nothing inherently terrible or harmful about frame strollers used in moderation, but far more often than not they are enablers of the bad stroller habits even great parents make. They are also usually unnecessary and make a very short-lived purchase. My recommendation is to skip the purchase of a Snap 'n Go or other frame stroller. If you're itching to spend extra money on a special stroller for your newborn, see the bassinet section of this article. These are by far the most popular stroller choices for new parents in the United States. In fact, a BuyBuyBaby employee and stroller specialist I met with here in North Carolina told me that most first-time parents she speaks to believe that these and frame strollers are their only options for transporting infants. Interestingly, I’ve noticed that stroller and car seat travel systems are much less popular in other parts of the world. The position that infant car seat carriers support your baby in isn't great for development, isn't safe for sleep AND can contribute to conditions such as Positional Plagiocephaly (head flattening) and Torticollis (one-sided neck tightness). Learn more about how car seats and other baby holding devices affect infants' development. In Part 1 of this Strollers and Infant Development series, I explained why I recommend keeping baby in a flat stroller until she is able to sit with a little support. Great news: many of the strollers that come with car seat travel system strollers have the valuable feature of a stroller seat that reclines flat or within 15 degrees of flat. Many parents just aren't willing to consider forsaking the convenience of a stroller and car seat travel system. Choosing a model that has the feature of a stroller seat that reclines flat means that you can be thoughtful and intentional about your use of the infant car seat carrier outside of the car. This offers parents the best of both worlds: convenience for the really rough days or special circumstances when a car seat carrier feels necessary PLUS a firm, flat surface to allow baby to move when he's awake and to sleep safely when he’s not. Take a look at how this little one is turning her head to look at her bright toy. By moving that toy to both sides of the stroller equally, her parents give her awesome opportunities to have developmentally beneficial playtime even when on the go! 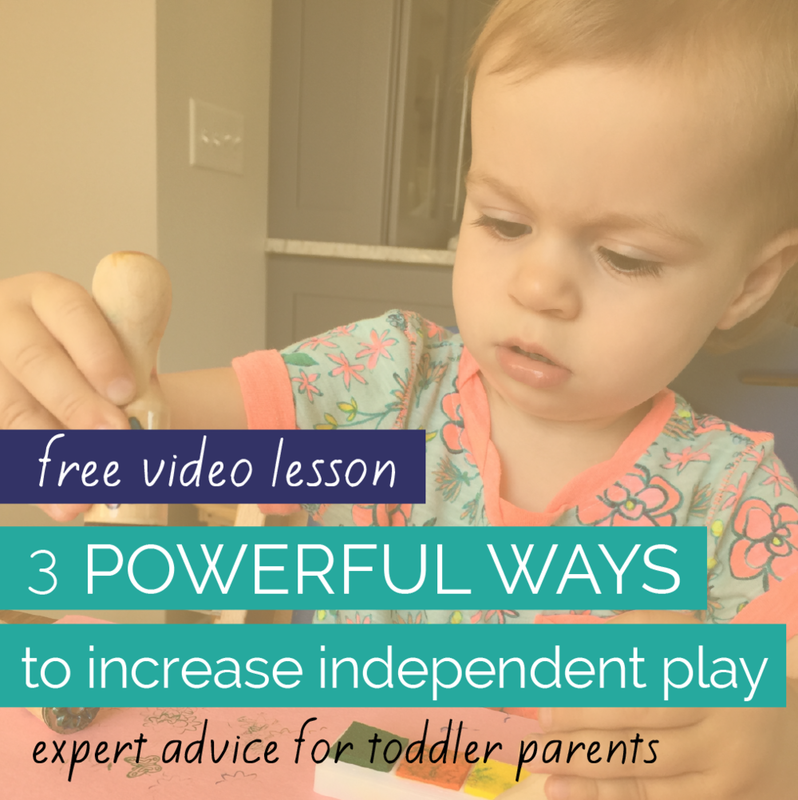 Because her movements are not restricted by the positioning of an infant car seat carrier, she can turn her head freely, and move her arms fully to engage with her toy. She's stretching and strengthening many of her muscles and placing weight on different parts of the back of her head! When you're not strolling (when you're in a restaurant, for example), consider placing your baby awake on her side or in Tummy Time on the flat stroller seat** to look at a high contrast book or toy. (here are some tips for making Tummy Time less miserable). Even if you used your infant car seat carrier to get to your destination - once you arrive, make a concerted effort to get baby out to be held, worn or to be placed in different positions on the flat surface of the stroller seat to stretch, strengthen and have active awake time. Make sure to properly position your baby when you do use the infant car seat carrier and follow the Rule of 2 and 15 to limit your baby's daily time in Baby Holding Devices. Here are other tips from a Physical Therapist for preventing the overuse of car seat travel system strollers. **Always use your stroller's harness when in motion and closely supervise your baby when positioning her without the stroller's harness when parked. *note: Some travel systems accommodate different brands of car seats and can be purchased separately so that you can create your own travel system. Please consult product manuals for specific details. This is a rapidly growing segment of the stroller market and I was pleasantly surprised to find so many lightweight folding strollers that recline flat! Those with lower price points are a great (and usually inexpensive) option if you've already purchased a stroller that doesn't recline flat but wish you'd known then what you know now. These are a great alternative to the Snap 'n Go or frame strollers because of their convenient size and foldability for errands and travel. For everyday use, recline baby flat on the back when strolling and use the flat, firm surface to offer baby a variety of other positions when you're parked (sidelying on each side, Tummy Time). "Old school" folding umbrella strollers with a sling-style unstructured seat are only appropriate for babies who sit completely unsupported as they offer very little support. Bassinet strollers offer a completely flat bed-like surface for an infant to lay on surrounded on all sides by walls. Some strollers have an add-on option for a bassinet attachment, which can be removed when baby is old enough to sit upright in the standard stroller seat. Others are exclusively one-purpose bassinet strollers. These are a short-lived purchase that will only last your baby through infancy, BUT are a better option for your infant’s development than a Snap ’n Go or similar frame stroller, so I recommend that parents who are itching for a special infant stroller opt for a bassinet. Bassinets are particularly helpful when you have more than one child (or multiples) or the rare baby who doesn’t like to be worn. They allow you to place your baby in a variety of positions when the stroller is parked with the additional safety of walls to keep baby from rolling. We purchased a double stroller that has a bassinet option for baby #2’s arrival because I know there will be many times when I’m pushing my toddler on a swing or enjoying a museum with him while the baby plays in different positions in the stroller. So, I want with the added security of bassinet walls allowing me to take my attention briefly off of baby. With my first, my attention was usually solely on him and so our Baby Jogger City Mini reclined to completely worked just fine. Strollers can range in price from under $100 to over $1000 and you have to find what works for your family's budget. You might be surprised that you can find some strollers with many features and options in the more reasonable end of that price range. If you're shopping or registering at a baby store, ask for their "stroller expert" and clearly state your budget and the most important features to you. The BuyBuyBaby stroller guru I met with was able to show me strollers at every price point that reclined flat and at many price points that had bassinet attachments. Another option to consider is purchasing a stroller used. For my first baby, I wanted a brand new stroller for my brand new little one. Funny how quickly things change with baby #2! For about the same price we paid for our new Baby Jogger City Mini, I was able to get a Baby Jogger City Select Double Stroller (with both seats included) on eBay. Especially if you're interested in some of the features of the higher end stroller brands but find them out of your price range, check out Craigslist, eBay or consignment sales. For more products I recommend, visit the Resources page! And be sure to follow my Baby Toys & Gear Pinterest board for more ideas. Follow Rachel Coley :: CanDo Kiddo's board Baby Toys and Gear on Pinterest. 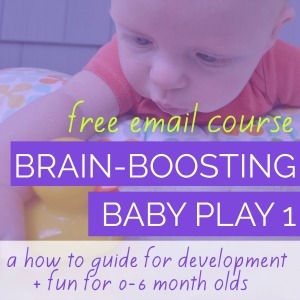 Looking for more ways to confidently and playfully parent your baby?